In its role as a think tank for the United Nations system, the United Nations University (UNU) conducts focused, policy-relevant research that offers objective, science-based perspectives in the service of policy debate and development. UNU researchers develop fresh, alternative views of today’s pressing problems, provide proactive analyses of emergent challenges, and propose feasible coping mechanisms or solutions. Guided by the UNU Strategic Plan, which prescribes the basic direction, agenda, and priorities of this research, UNU produces high-quality, evidence-based, policy-relevant research outcomes that occupy a central place in the UN policymakers’ toolkit and inform deliberations on key policy issues. Abiding by its Charter mandate to “devote its work to research into the pressing global problems of human survival, development and welfare that are the concern of the United Nations and its agencies”, UNU investigates various aspects of global sustainability and human well-being, with a particular emphasis on the challenges and needs of developing countries. This encompasses issues of peace and human security, governance and human rights, human health, gender equality, development and poverty reduction, environmental protection and natural resources management, climate change, energy, the impact of science and technology, and other contemporary concerns. UNU ensures that its research remains relevant in today’s rapidly changing world by being agile and adept. The focus of UNU’s research has continually evolved in response to the changing state of global ecosystems, the social impact of scientific discoveries, and the evolution of the international system. These clusters incorporate gender dimensions, and are complemented by relevant, cross-cutting research themes in the areas of science, technology, and innovation. Additionally, UNU researchers regularly scan the global agenda for emergent issues that may lend themselves to niche research by the University. The research work of UNU is carried out by a decentralized network of institutes and programmes. To more effectively respond to today’s complex, multifaceted global issues, in many cases the researchers in these units work together, and in collaboration with external partners (including leading universities, research institutes and think tanks worldwide, as well as with other UN system entities). There is diversity across the global UNU system. Some institutes seek to build capacity within, and therefore emphasize internally conceived projects. Others place a strong focus on external proposals. And while most projects comprise a small team of researchers, externally proposed and financed projects may involve multiple institutions and dozens of researchers. UNU disseminates the findings of its research through a variety of channels: these include books, reports, policy briefs, journal articles, and the internet as well as conferences, seminars, lectures, and workshops. The goal is to provide practical knowledge, in a timely manner and convenient form, to those who can make best use of it. Target audiences include UN officials, government leaders, scientists, scholars, public and private sector decision-makers, and on-the-ground practitioners. 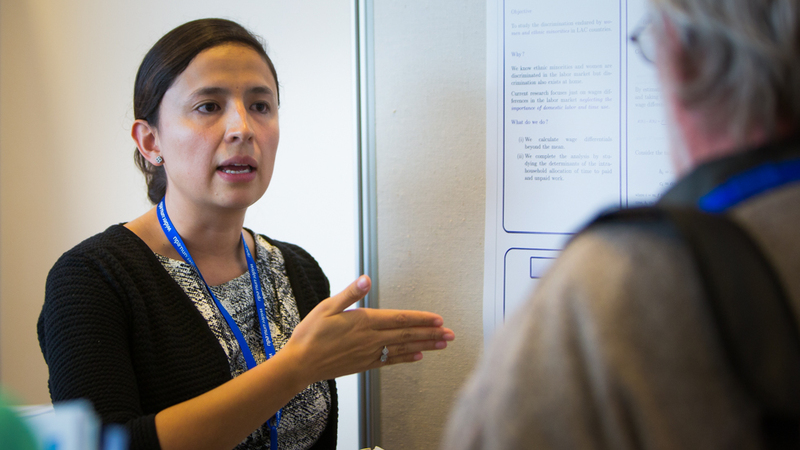 The institutes and programmes of the UNU global network undertake a diversity of research on pressing global problems. Some of these are small, short-term projects that have a single (or no) external partner. Others are large, multi-year initiatives that may include multiple related projects and involve numerous international partners and/or donors. Still others are strategic initiatives conducted in cooperation with other UN system entities. Some UNU research is financed primarily by “core income”: interest income from the UNU Endowment Fund and/or general operating contributions from UNU institute host governments. Other UNU research is financed by “specific programme contributions”: funds earmarked for a particular project. The University relies entirely on voluntary contributions from donors worldwide to support its operations and research. In order to ensure its academic autonomy and shield it from political pressures, UNU receives no funds from the regular UN budget. The strength of UNU’s work comes from the diversity of its researchers, and the breadth and depth of experience that they possess. UNU researchers typically work in small issues-based teams at one of the University’s global institutes, and represent more than 70 nationalities, with approx. 40% of them from developing countries. About half of UNU’s researchers are women. Though some UNU research projects are conducted primarily by internal staff, many projects are undertaken by UNU-coordinated, decentralized networks of external collaborators. Thus, not all project researchers work at UNU. To see who does work at UNU, visit our Experts database.